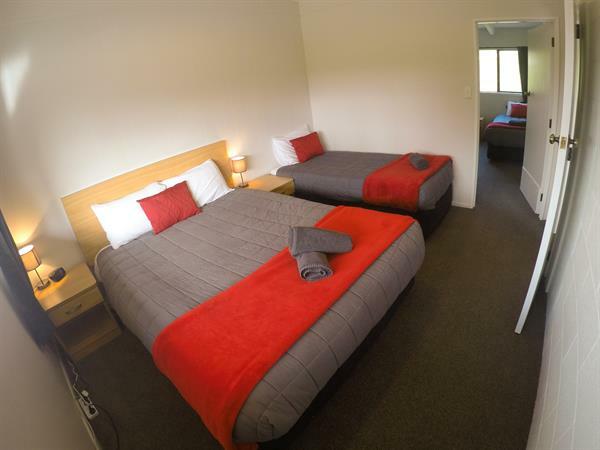 Our 2-Bedroom Self-Contained Unit can sleep up to 7 people with a queen and a single bed in one bedroom and three single beds in the other bedroom (please note: access to one bedroom is through the other). There is a separate living area with kitchenette facilities and lounge area with free to air TV, as well as an ensuite bathroom. The unit has panel heaters to keep you warm in the colder months. Beds are fully made up and towels provided.